Students glide between dorms and classes on a high-speed rail system that connects Tribble Hall, Innovation Quarter and Cook-Out on University Parkway. The Wait Tower Jumbotron broadcasts news, trending hashtags and, on Flashback Friday, music videos by Adele and Pharrell, Beyoncé and Bieber. Pit food trucks hover at each point of the Hex, a once-rectangular commons known affectionately as the Quad. And Wake the Library, decades earlier a wildly popular exam-relief event, is the name of an all-night microgreens bistro. 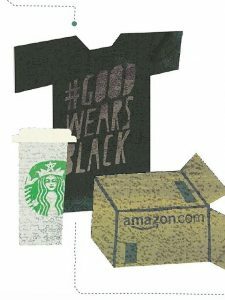 While none of us knows what the campus of the future may look like, we doubtless have ideas about what we’d want future Deacs to remember about this place so dear to our hearts. 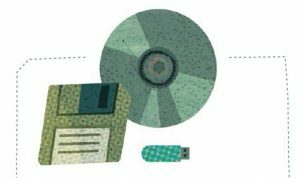 Wake Forest Magazine asked readers about the memories they’d share in a 22nd-century time capsule. 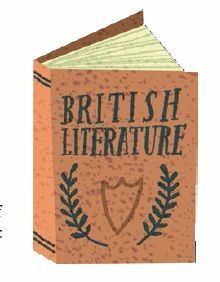 Suggestions ranged from the historical to the hysterical, the practical to the sentimental. If only we could be on the Hex when it’s opened. 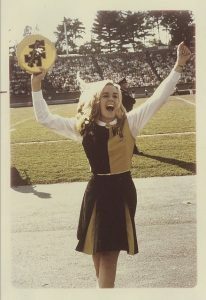 To represent my time at Wake Forest in the ’60s I would choose my tambourine. The female cheerleaders all used them at football and basketball games, and I banged that tambourine on my hands and basketball courts across the ACC til the head came off it. 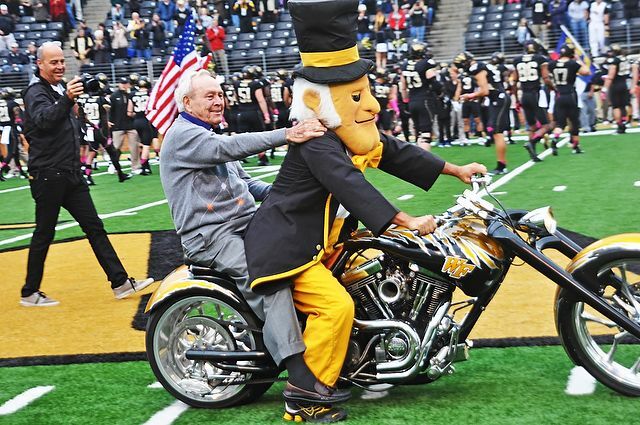 Some of my happiest memories were cheering for the Deacs — actually they still are. We were the only school that I know of that used tambourines, and I’m not sure how that started. I know I have the tambourine around here somewhere but I haven’t been able to put my hands on it. I’m pretty sure the ACC outlawed them because they were noisemakers, but they sure were fun and something special about Wake at that time for me. Three lapel pins, one from the Wake Will campaign, one from the LGBTQ Center, and one from “New Deac Week,” represent Wake Forest in 2016. I wear these almost every day, and they remind me of the amazing things happening right now at WFU. 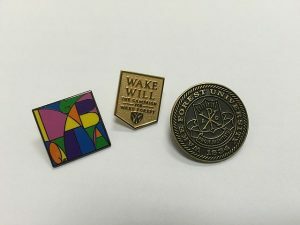 Wake Will is helping the University grow in new and exciting ways, the LGBTQ Center, the Intercultural Center and the Women’s Center show the University’s commitment to diversity and inclusion, and the pin given to new students at “New Deac Week” represents our commitment to traditions and Pro Humanitate. I think I would put my ThinkPad in the time capsule. The Class of 2016 was one of the last classes to get ThinkPads, so that’s significant in and of itself. 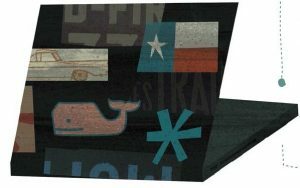 Beyond that, though, Wake kids love to decorate the back of their ThinkPads with laptop stickers. As we collect laptop stickers over the years, our ThinkPads become a collage of who we are. Mine, for instance, has several Texas stickers as well as some Theta stickers, a Vineyard Vines sticker, a Bojangles’ sticker, a Camino sticker, a Reynolda Film Festival sticker, etc. Other people have stickers indicating where they did workstudy (Benson, ZSR, Museum of Anthropology). Some student groups, like the Lilting Banshees, have their own stickers. I think any Class of 2016 kid who found a sticker-covered ThinkPad in a time capsule would instantly know what that was about and be taken back to their college days. The stickers allowed us to express our individuality. If I were going to put ANYTHING in a Wake Forest time capsule it would be a Cook-Out milkshake cup. I know it’s not exactly a Wake Forest-related item, but then again, it may be in way of tradition. As much time as I spent eating in the Pit I spent frequenting Cook-Out at 1 and 2 a.m. 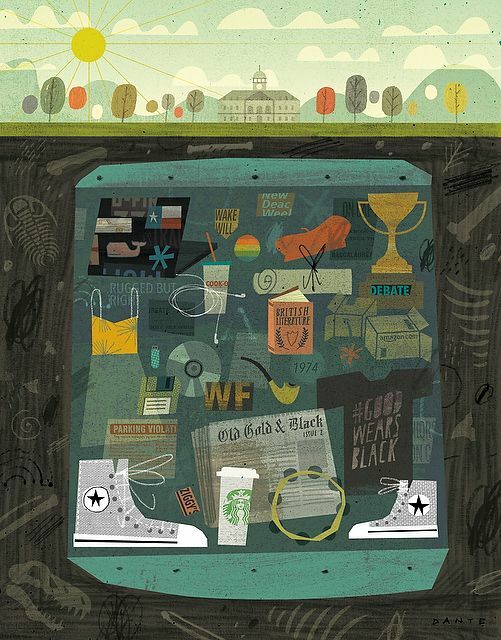 It was as vital to my Wake Forest experience as the books I used in class because the “Cook-Out Run” came in the stillness of the night when thoughts were racing through my mind like horses on a derby’s track. While every day brought new ideas and challenges, the milkshake was always the same: consistent, dense, vanilla, plain and smooth. It never changed. It never varied. It was loyal. I found solace in its simplicity, and I needed that simplicity to carry me through the vagaries of the difficult semesters. Without a doubt, if I were going to pick one thing it would be that. My initial instinct would be to put the first trophy Wake Debate ever won against another college: 1897 versus Duke. 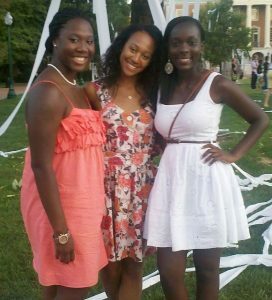 The sundress I wore to my first WFU football game. No Wake Forest student ever forgets their first football game. For girls part of the excitement is picking out a sundress to wear. I don’t remember who we were playing that day in 2011, but I do remember attending the game with two girls who became my best friends and rolling the Quad for the first time later that evening. My suggestion for a time capsule would be the lyrics for “Rugged But Right,” the introductory Fidele song for the Greek Spring Sing competition. 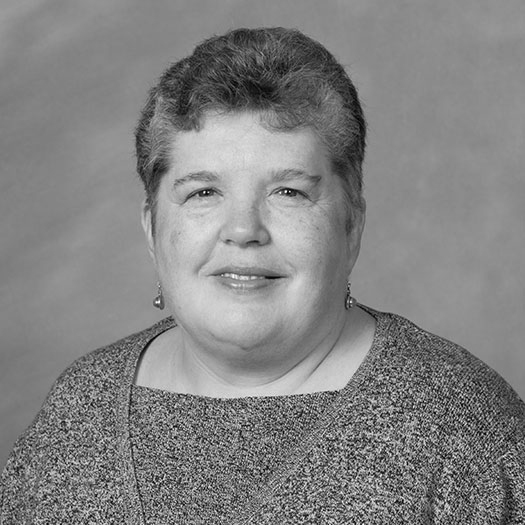 Here’s the reason: Last spring my best friend from childhood told me that her mother was causing a riot among the nurses and therapists in her physical rehab facility by introducing them to an old song called “Rugged But Right.” I said, “That sounds familiar. 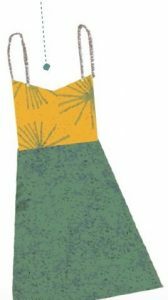 I think my sorority in college sang something like that.” Over the next day, the lyrics — and the memories of wearing floor-length gowns and singing under the leadership of Sis Crowder — came back to me in bits and pieces, after 40 years. That we’re rugged but right. The good Fidele sisters serenading tonight. Oh, we’ve got the spirit that will never die. 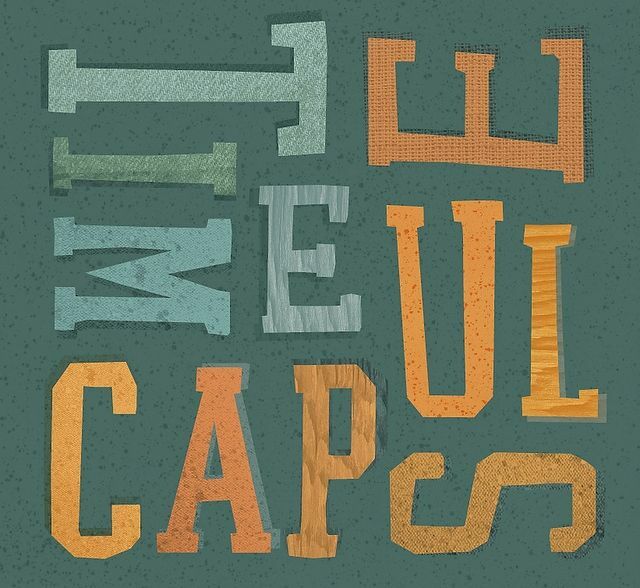 We just dropped in to tell you that we’re|rugged but right. 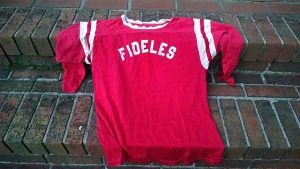 We are the Fideles … bom, bom, bom, bom. Now, of course, I can’t get it out of my head. 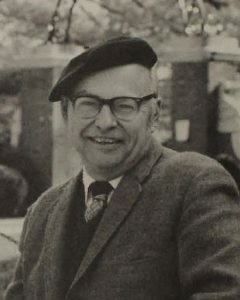 Sadly, I don’t have a Ziggy’s ticket to scan or a picture of Vegas, but I suspect that many alumni — and particularly the English majors — still have on their shelves the anthologies of the canonical British Romantic poets that Ed Wilson (’43) taught in 316 Tribble Hall for decades. 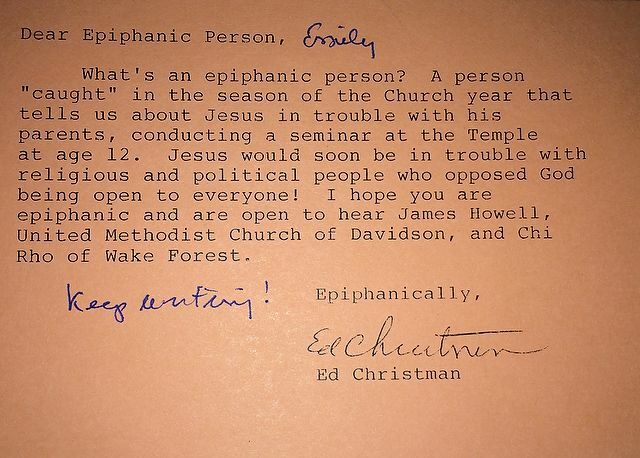 The late Chaplain Ed Christman (’50, JD ’53) sent out weekly reminders about the ecumenical chapel service he held in Davis Chapel Thursday mornings at 11 a.m., a time when no classes were scheduled so that students could go to what was once required — but long since by 1994 — an optional service. That Chaplain Christman took the time to personalize these postcards made me feel all the more valued. 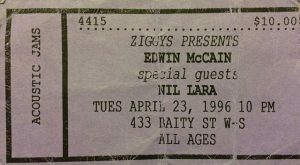 Here is a ticket from beloved Ziggy’s, the place to catch great bands at a small venue for a small price within walking distance from campus. Before they played arenas, you could see Edwin McCain, Vertical Horizon, Dave Matthews Band, Hootie and the Blowfish and They Might Be Giants for $10 or so. Great times! I would include this 2013 photo I took of Arnold Palmer (’51, LL.D. ’70) riding with the Deacon. They had prepared to ride Mr. Palmer out on a golf cart but at that moment asked him, “Mr. Palmer would you want to ride on the motorcycle?” His answer was wonderful. He said, “I’m almost dead. I’m going on the motorcycle.” So classic! I can’t think of anything better to put into a Wake Forest time capsule than an issue (or two or three) of Old Gold & Black. Like any good newspaper — and it’s long been a good one — OG&B presents a snapshot in every issue of not only what’s happening on campus but also what’s on people’s minds. Turn the pages, and you see events, styles, amusements, controversies, discussions — the mind and heart of the University, as seen through the eyes of bright, passionate students. And, as of last January, OG&B has been “covering the campus like the magnolias” for 100 years. It’s easier to say what not to put in: just about any electronic media. Original documents, even our cheap paper “blue books” for test answers (need at least one of those), would probably last longer than electronic data. Having said that, I think floppy disks, a CD and a USB chip would offer an interesting Rosetta Stone of electronic data, with perhaps a memory board from an original Wake Forest student laptop. Based on my experience with parchment that has survived intact for over a millennium, I’d suggest an original sheepskin diploma (last issued in 1982) and any other Wake Forest historic documents on parchment. 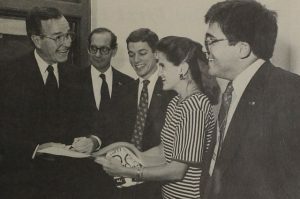 As a single artifact representing so much of the University’s legacy and history, I’d have to go with the Alexander Meiklejohn Award for Academic Freedom. Wonder what technology, research and scholarship will be needed to really understand these and all the other items — and put them in context?